In architectural history, there is one major dividing line that separates the hand­made house from all those that came later. It is, of course, the arrival of the machine. In America, the effects of the Industrial Revolution trickled down to almost every stratum of the building business by 1830. The advent of the circular saw— which came into general use about that time—made wood cutting more efficient and economical. Machine planers were patented as early as 1828, meaning that for the first time boards arrived at building sites having already been planed smooth. Machine-made nails superceded handmade nails shortly after 1800. And all these materials began arriving from considerable distances, pulled by the newfangled Iron Horse. Thus, circa 1830 can be seen as the boundary between the Victorian House and the earlier Handmade House. Handmade houses gradually became a thing of the past, but their very obso­lescence is essential to what has made them so cherished. Before the railroad system developed, builders had to rely almost exclusively upon local materials (typically, the exceptions were hardware and glass, which continued to be imported from England into the Victorian era). The frame of an early house was made of wood felled on the owner’s property. On the house site itself, trees would be hewn (squared oft using a hewing axe or adze) into beams and posts for the structure. 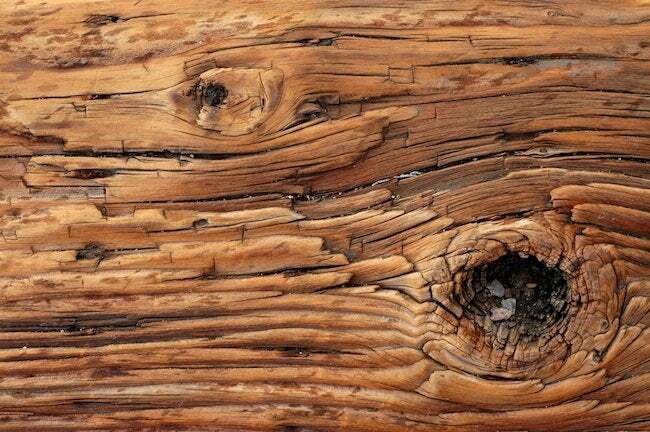 In the seventeenth and early eighteenth century the smaller lumber, too, would be cut on site, though by the time of the American Revolution, felled trees would usually be delivered to the town sawmill to be cut into boards. In fact, the standard pattern of development in the northeast was for a mill to be established on a natural watercourse—and a commu­nity to develop nearby. The process of building was very localized. Boards cut at a sawmill had a rough surface, scarred by the up-and-down cut­ting motion of the reciprocating saw blade. Smoothing them for use as finished sur­faces involved an investment of time and skilled labor by the builder himself. In a two-step process, the rough-cut board had to be planed by hand. A large plane called a jack plane flattened out the roughest spots and eliminated the evidence of saw cuts. Next a smoothing plane was used to give the boards a smooth appearance. Notice the verbal distinction: the boards were made smooth to the eye rather than to the touch. In fact, a slight arc on the blade of the smoothing plane meant that hand-planed stock was not perfectly flat like those produced later by machine plan­ers. If you run your fingers across the grain of a hand-planed board, you can feel its contours. This is an invaluable trick for identifying early planed paneling, floorboards, door panels, and other wooden elements, and you can master it in a matter of sec­onds. Find an old dresser that you think dates from the mid-nineteenth century or earlier. Open a drawer and slide your fingers across the grain of the underside of the drawer bottom. If it’s smooth and flat, it’s probably a later dresser made with machine-planed boards or even plywood. But if you feel a perceptible hill-and-valley texture, that’s a hand-planed surface. A flashlight held at an acute angle to the board will make the rippling texture visible to the eye. The appeal of a handmade house always comes down to one thing: The hand of the workman. In a way that later houses do not, homes built before 1830 are the product of a craftsman who truly shaped the elements of the house. There are virtues to be admired in houses from all periods—the typical Victorian house will be larger and more elaborately decorated, the twentieth-century house will contain more creature comforts—but craftsmen are a living presence in an early house. Before the turn of the eighteenth century, the nails were made by a blacksmith, the moldings shaped by the builder, the bricks individually molded in wooden forms then fired in a nearby brick kiln, and the windows and doors were made by joiners with planes and chisels. All of the wooden pieces were fitted together individually by the car­penter, one painstaking joint at a time. While handmade houses have much in common, they are still a diverse lot. Much of their individuality results from the building traditions within which the builders worked. Most carpenter-joiners were English, but Dutch and Spanish tradi­tions also left their marks on American housing stock. And later, the American Federal Style assumed an important place. In the pages that follow, we’ll look at each of those.